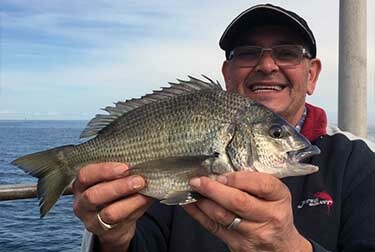 Great to see John Regali back fishing again. With his new smile the Bream fishing Guru was back doing what he does best and thats catching plenty of Bream and Garfish on bait. The location of choice was the usually very windy Brighton pier which has just started to produce Gars in big numbers lately. Well done John good feed there and good to have you back.